Are you looking for a Church Community? We would be very happy to have you join us at St. Vladimir's! As Orthodox Christians we believe that the relationship between the members of the Holy Trinity is the highest and most profound example of love - an example we strive to emulate in our lives and especially in our parish family. Although we all live in the world, we also live as part of our parish family, caring for and educating each other, and supporting each other spiritually as we grow in our faith. COME AND SEE! Please join us at St. Vladimir's for one of the Divine Services, preferably the Sunday morning Divine Liturgy (10:00 a.m.). Introduce yourslef if you have time, but we expect you won't, since we'll do our best to introduce ourselves to you before you have the chance! If you have questions about the Orthodox faith please contact our church email above, or feel free to contact our Rector, Fr. Gregory Joyce at 734-429-9024 or ogrisha@yahoo.com We welcome you to St. Vladimir's! A brief overview of the Orthodox Churchs history and teachings. Information about some contemporary moral questions from the Orthodox point of view. An over view of the church building. The Orthodox Church. What the Orthodox Church believes about God: God  the Holy Trinity. 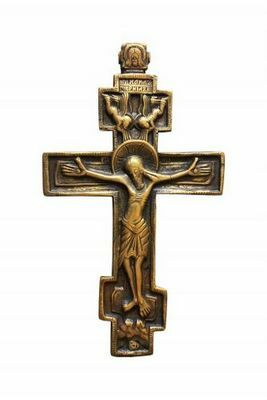 What the Orthodox Church believes about Jesus Christ: The Lord Jesus Christ  the Savior of the World. Sola Scriptura  An excellent booklet about the Protestant doctrine of the Bible from an Orthodox perspective. Written by a former Protestant Pastor who is now an Orthodox Priest. Introduction to the Bible  The Bible from an Orthodox perspective. Very few people know that the Bible was not only written by Orthodox Christians, but also that Orthodox Christians compiled the Bible as we know it today! Prayer for the Dead  Orthodox Christians pray for both the dead and the living. Find out why by reading this pamphlet. The Orthodox Church is a sacramental Church. We do not limit ourselves strictly to The Seven Sacraments  this pamphlet will explain why. How do we pray? Why do we pray? Where do we pray? When do we pray? Prayer  the Breath of the Soul. The Saints  our Intercessors in Heaven  A very important topic in Gods Church  those who go before us and we who remain here on earth relate to them. The Divine Liturgy  Information about the most theologically significant Liturgical service of the Orthodox Church (the Eucharist). For additional web resources please see the Orthodox Christian Information Centers Especially for Inquirers web site or their Introduction to Orthodoxy site.